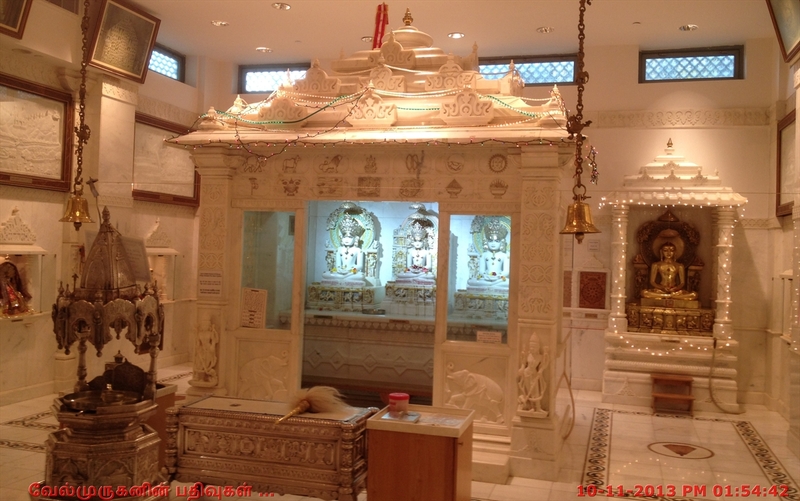 THE JCA NY TEMPLE : Jain Center of America (JCA) was the first Jain Center organized and registered in America in 1976.The temple houses shrines for Shri Mahavir Swami in the Shwetambar tradition, Sri Adinath in the Digambar tradition, Upashraya in the Sthanakvasi tradition and Meditation Hall for the Shrimad Rajchandra tradition. 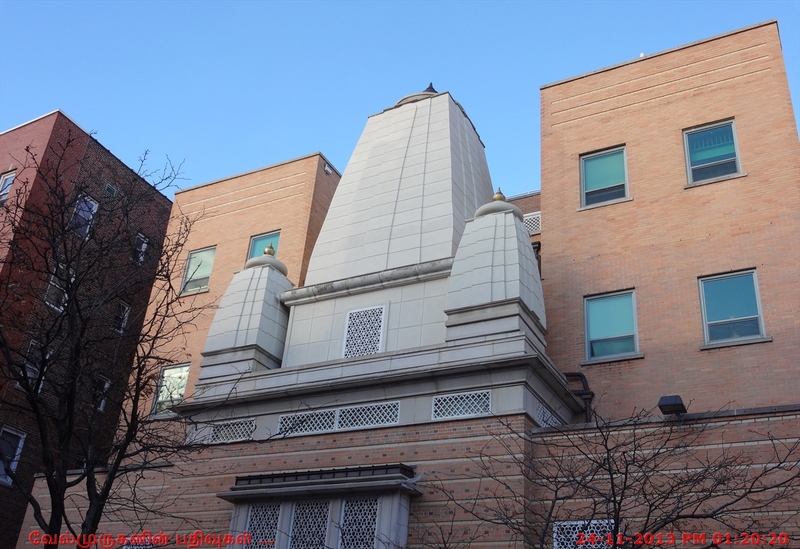 The Jain Center of America (JCA NY) Temple complex is a 16,625 Sq. Ft. facility, with four stories and a cellar. The total height of the temple is 66’ 5” with the Kalash. The Shikhar at the height of the building is 24’ 1” and the Kalash is 2’ 9”. The Cellar of the temple complex is 2,350 Sq. Ft. and consists of a multipurpose hall, youth center, computer area, mini theatre. The First Floor is 2,350 Sq. Ft. and comprises a front & back vestibule for entry. Mahavir Temple : The Second Floor of the building is 4,000 Sq. Ft. and consists of the Shri Mahavir Swami Temple in the Shwetambar tradition and a large Upashraya/Sthanak in the Sthanakvasi tradition. 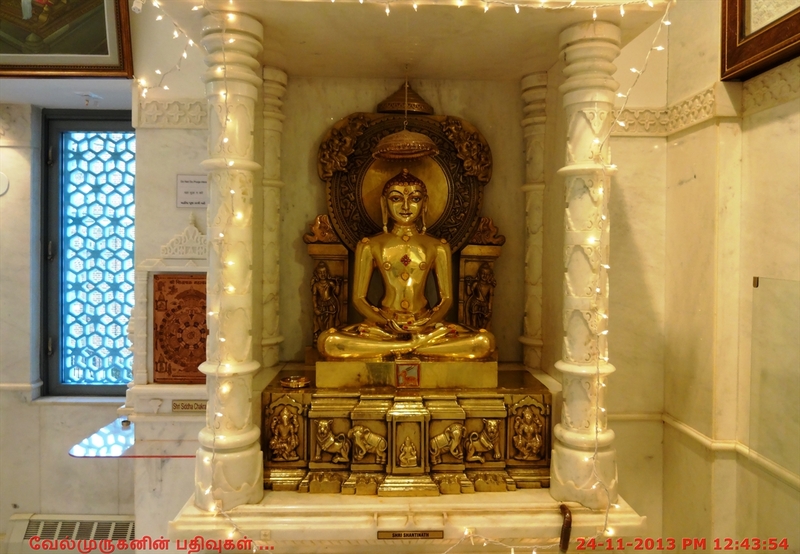 The Shri Mahavir Swami Temple has a Main Garbha Griha with Ghummat, Kalash & Dhwaja. 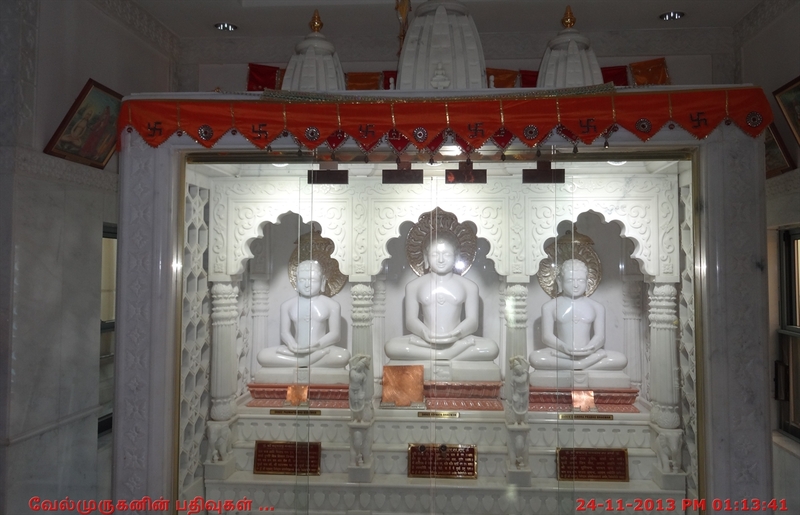 The Mulnayak Pratimaji, Shri Mahavir Swami , is 21”, with a 25” Shri Neminathji on the right and a 25” Shri Sambhavnathji on the left side, all of white marble. 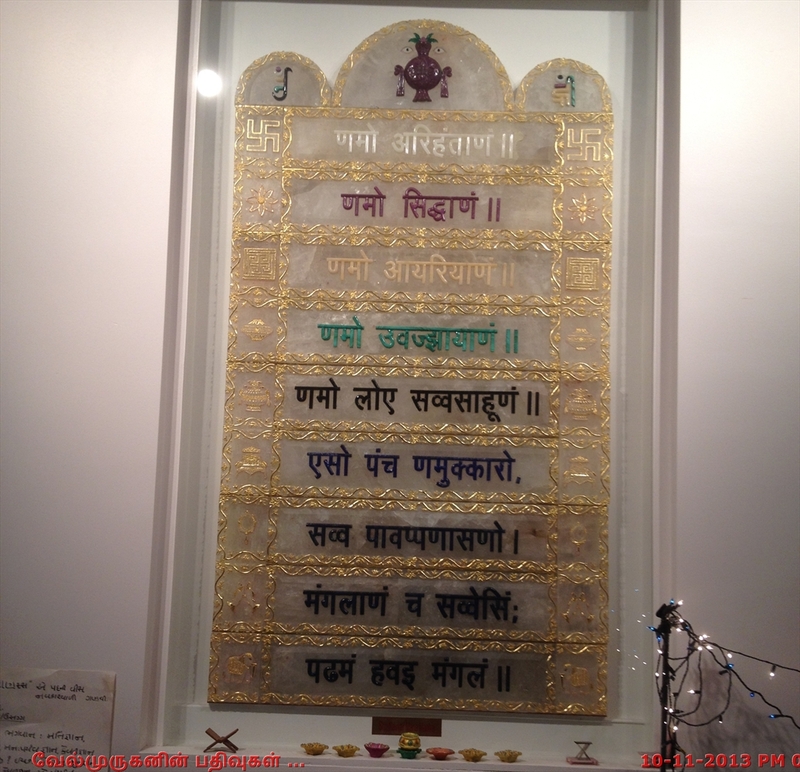 In the back Gabhara, inside the Gokhalas, on the rear right side, is the 31” Pratimaji of Shri Parshwanathji in black marble and on the rear left side is the 31” Panch Dhatu Pratimaji of Shri Shantinathji. The Bhamati Parikrama is graced by an 81” Jaisalmer light brown Shri Adinathji Choumukhi. 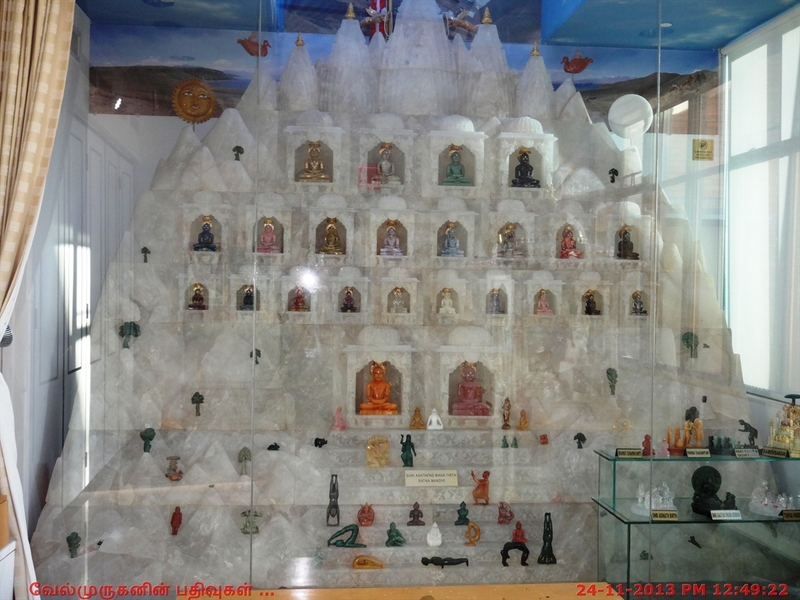 The east and west walls are graced by the idols of Shri Simandhar Swami, Shri Gautam Swami and eight other idols of Dev and Devi all made of white marble. Adinath Temple : The Third Floor of the building is 3,800 Sq. 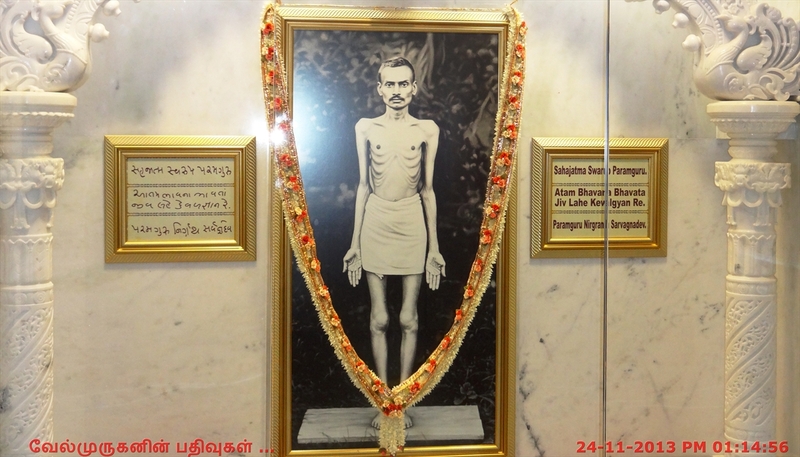 Ft. and consists of the Sri Adinath Temple in the Digambar tradition, Shrimad Rajchandra Meditation Hall, and a Library. The Shri Adinath Temple has a Main Garbha Griha with Three Shikhars, Kalash & Dhwaja. The Mulnayak Pratimaji is 31” Shri Adinath Swami, with a 25” Shri Padma Prabhuji on the right and a 25” Shri Chandra Prabhuji on the left side, all of white marble. 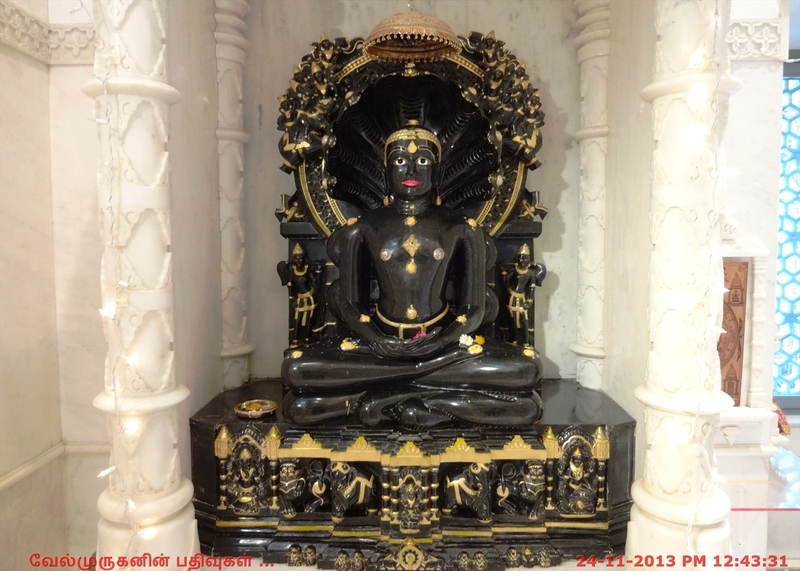 Inside the Gokhalas, on the right side, is the standing 51” Pratimaji of Shri Parshwanathji in black marble and on the left side is the standing 51” Pratimaji of Shri Bahubaliji of pink marble. 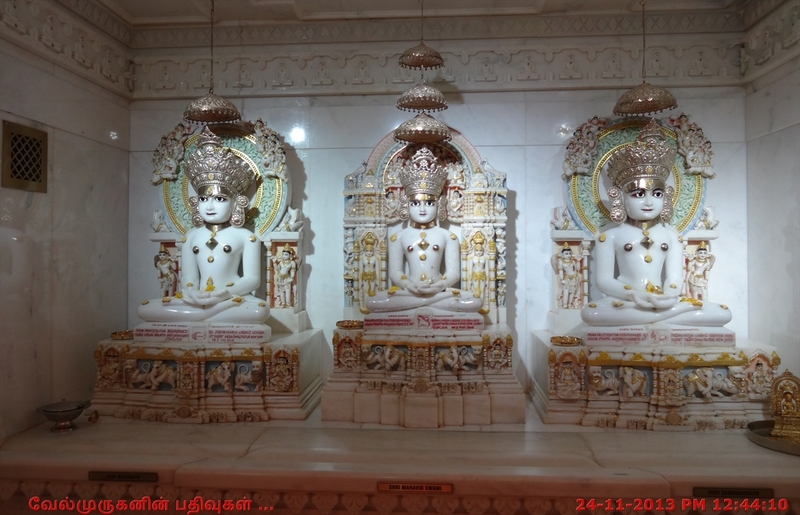 Two Gokhalas contain smaller Pratimas of Shri Mahavir Swami in white marble and a Panch Dhatu Pratimaji of Shri Shantinath Swami.